“Despite these achievements, many challenges remain to be tackled in the decommissioning process, and ensuring safety in this complex situation requires sustained daily attention.” The new report follows up on original analysis presented to Japanese authorities in November and finds that the “risk reduction strategy is being implemented at a pace commensurate with the challenges of the site-specific situation.” That being said, however, “the IAEA Review Team continues to identify water management as critical to the sustainability of decommissioning activities” and has urged for a decision for the disposition of contaminated water to “be taken urgently engaging all stakeholders.” Specifically, the IAEA Review Team determined that it is necessary to determine an end-game for the Advanced Liquid Processing System (ALPS) sooner rather than later, considering that “the volume of ALPS treated water [is] expected to reach the planned tank capacity of 1.37 million [metres-cubed] within the coming three to four years, and considering current site facility plan for space allocations, and that further treatment and control of the stored water before disposition would be needed for implementation of any of the five solutions considered by the Japanese Government.” (For more on TEPCO’s contaminated water treatment, see here.) Further, but regarding the retrieval and end-game of radioactive fuel debris, the report’s authors state that “there should be a clear implementation plan defined to safely manage the retrieved material” and that “TEPCO should ensure that appropriate containers and storage capacity are available before starting the fuel debris retrieval.” There is therefore need for immediate decisionmaking but long-term patience and goals in place to thoroughly address the large amount of radioactive and contaminated waste. 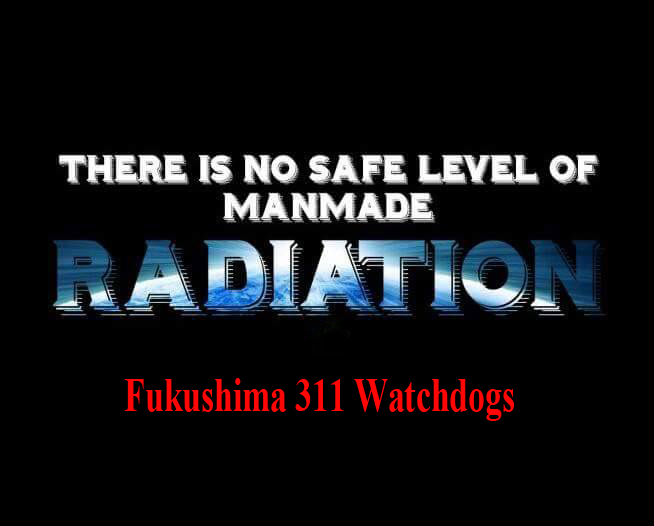 “Efforts to scrap the nuclear plant “extremely difficult” an understatement for yet impossible. This is an admission . After 6 years wasted in lies and obfuscation, they finally admit that the Fukushima Daiichi nuclear disaster is not resolved, far from being resolved, that they can’t handle it on their own, and need all the help they can get from the international community to find solutions to contain this major nuclear disaster. 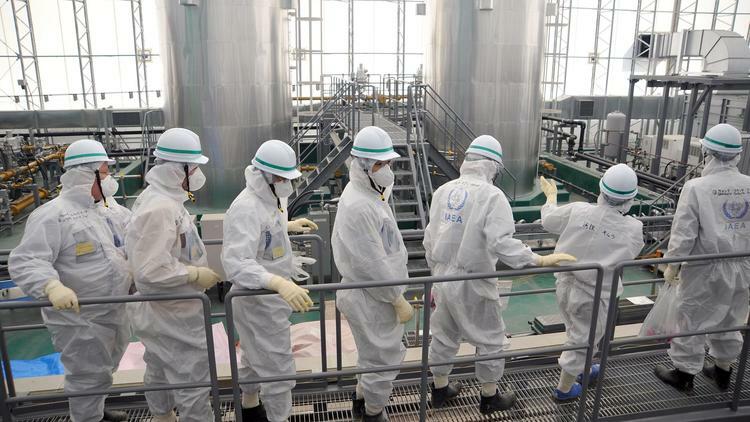 Nearly four years after Japan’s massive March 2011 earthquake and tsunami, the country has made “significant progress” toward stabilizing and decommissioning the ravaged Fukushima Dai-ichi nuclear power plant, international nuclear inspectors said Tuesday. However, the nearly 160 million gallons of contaminated water stored on-site pose massive logistical challenges, and examiners strongly urged Japan to consider controlled discharges of the liquid into the Pacific Ocean once it is treated. The situation at the crippled plant remains “very complex” and “the benefits [of discharges] could be very, very huge” said Juan Carlos Lentijo, who led the team of 15 inspectors from the International Atomic Energy Agency on a nine-day mission that follows surveys in April and November 2013. Japanese officials have been reluctant to take such a step at the plant 160 miles northeast of Tokyo, fearing it might further antagonize local fishermen and other residents affected by the initial accident and its aftermath. In the past year, Japan has succeeded in removing spent and fresh fuel from one reactor, Unit 4, and reduced the inflow of groundwater into the facility. It has also taken steps to clarify which entities are responsible for particular jobs, the IAEA team noted. But about 80,000 gallons of groundwater continue to enter the plant per day, and building and maintaining storage tanks is increasingly taxing for the 7,000 workers toiling at the site, Lentijo’s team noted. In January, a laborer in his 50s who was inspecting an empty, 33-foot-tall storage tank fell into the vessel and died. In wake of that accident, Japan’s nuclear regulator called on plant operator Tokyo Electric Power Co. to move toward discharges of treated water. About half of the water stored on-site has been treated to remove most radioactive contaminants, the IAEA team noted, though current technology does not allow for the easy removal of tritium, an isotope of hydrogen. Unlike other contaminants, which are suspended or dissolved in water, tritium actually modifies the water molecules and therefore is difficult to separate out. Japan’s Ministry of Economy, Trade and Industry has solicited demonstration projects from several companies for technology that might effectively treat the tritiated water. Orange County-based Kurion said it was awarded a $10-million grant in November for a pilot programs of its technology in Japan to see if it would be effective at Fukushima. Among its other recommendations, the IAEA team encouraged Japan to narrow down the number of options being considered for the overall decommissioning plan and to reinforce “safety leadership and safety culture” systems. A final report from the IAEA team is expected in late March.